Received with Horizontal loop of 2100 square meters and Marconi T antenna (11m high, 45m top). Analyzed with Spectrogram. This is the third part of the signals collected in unattended operation: an old 486 PC work 24 hours a day, receiving and storing spectrograms on its hard disk. This third collection, as in first and second part, represents a selection of the most interesting images captured. 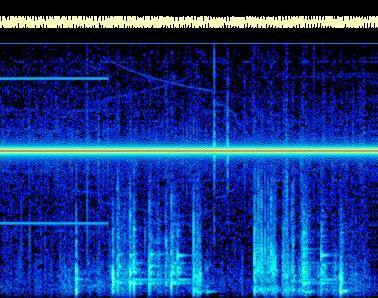 Weak Schumann resonances and strange inverted U at 3 Hz, 9 Hz and 15 Hz. Received with big horizontal loop. Signals like statics with flags, below 50 Hz red line, are probably caused by mechanical movement of the arms loop (see birds). 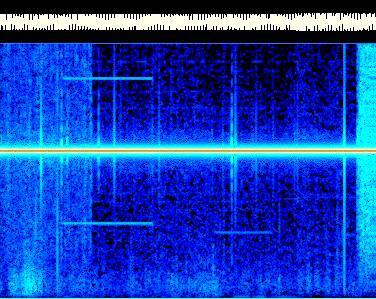 Above 50 Hz a strange couple of signals like a circle part. 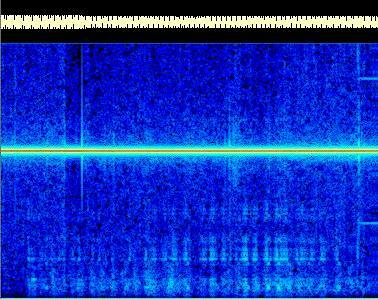 Schumann resonances, 50 Hz carrier and two minutes strange flag below 5 Hz, made by three carriers at 1.5 Hz, 3 Hz and 4.5 Hz. Received with horizontal loop antenna. 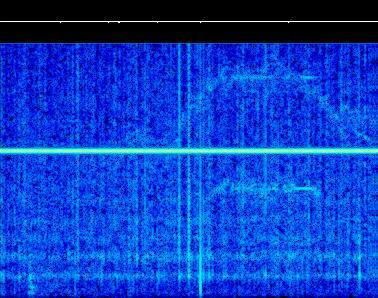 Aperiodic noise below 15 Hz and two minutes of 82 Hz carrier (may be submarine emission?). 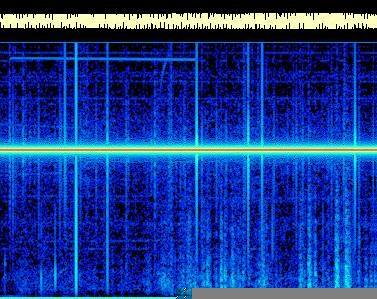 Main power carrier at 50 Hz, Schumann resonances and strange multi tone noise below 7 Hz. Strange carriers at 38 and 76 Hz: they appears like confused with a noise first, during and after. 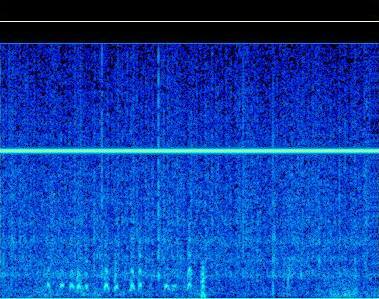 Strange signal below 35 Hz, but I suppose caused by mechanical oscillation of the arms of big loop (perhaps a birds). White noise below 20 Hz, in this case not caused by mechanical movement or wind. 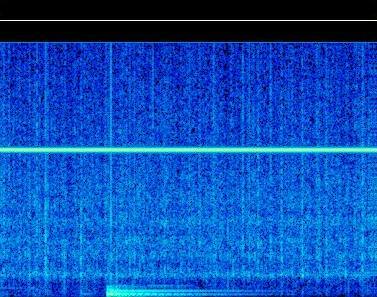 Weak but clear tone: 40 secs at 22.5 Hz; unknown origin. 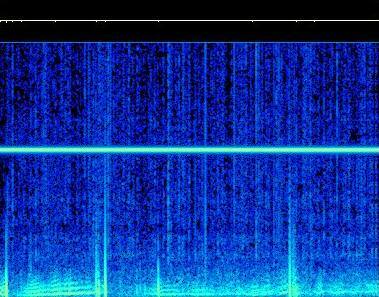 Schumann resonances, some statics and a strange carrier series, like a bridge in a spectrogram. 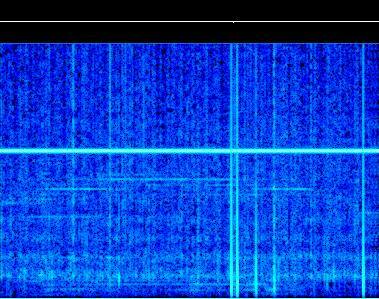 At this "bridge" corresponds some weak carrier below the first Schumann resonance at 7.8 Hz.